No doubt about it, having termites and other pests invade your home is nothing to be happy about. Some pests can be just annoying rather than dangerous but termites, scorpions, and other similar species are downright damaging. Statistics would show that property damage caused by these pests actually outweigh those caused by fires, earthquakes, storms, and other natural calamities. Moreover, they are certainly a much bigger pain to totally exterminate. In the state of Arizona, termite and other pest problems have brought about serious damage to more than just a few households. No matter how diligent you are in keeping your home pest-free, there's really no guarantee that you won't be attacked by pests and vermin sooner or later. Once they do, you will come to find that your most valiant efforts are pretty much useless. Calling in the experts to do the job right is the most prudent course of action you can take. The moment you are being threatened by termite attacks and other pests, take action immediately. The dangers your structure are exposed to on account of these pests cannot be underestimated. Getting in touch with Arizona termite and pest control staff at the earliest opportunity will mean all the difference in preventing severe damage to your abode. As a homeowner, you should be responsible for the safety and security of your home, inside and out. Since we utilize only the latest and upgraded methods in termite treatment and other pest control, you can be sure that you get exactly the kind of services you pay for. Taking advantage of our highly professional routine inspection services will make you sleep better at night knowing that the safety of your home is not being compromised by unwanted pests. While cliché, the saying still remains true that "an ounce of prevention is better than a pound of cure." Make our professional inspection services a part of your annual house maintenance and improvement activities and see just how amazingly beneficial these can be. Whether you're battling it out with termite problems or other pests, Arizona Termites can provide you with all right services. 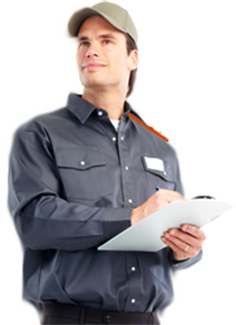 Our team of dedicated professionals act quickly on any pest control situation brought before our doorstep. We pride ourselves in the provision of complete and fast termite treatment services as well as dealing with tough scorpion problems, bugs, rats, ants, and other forms of vermin. As a family owned and operated company, we take pride in our reputation for outstanding customer service for the past 21 years and counting. Our termite and pest control staff are composed only of State of Arizona licensed technicians who have been meticulously trained to utilize only the latest and most effective methods. With these, we guarantee only the highest quality of termite and pest control services that are definitely worth recommending to anyone, from your family and friends, to neighbors and even just one-time acquaintances. It is important to protect your home from damage that a termite infestation can cause. Hence, when you decide to sell, purchase, or dispose of the same by means of any other transaction, you have to make sure that it is in the best of conditions and definitely termite and pest-free. We know just how troublesome it can get once you have listed your home which is why our extensive professional services also cover all these crucial areas. We conduct thorough and reliable inspections not just limited to checking for signs for pest infestation or damage. This means we also inspect for signs of leaks, wood decay, puddling, and other proximate or even isolated causes of such damage to the building structure. Our services have been trusted by both homeowners and real estate agents alike for years which goes to show just how reliably accurate we can be. We chose Arizona Termites to do our termite inspection and treatment because they were pet friendly. I would recommend them to anyone. Arizona Termites helped rid my house of termites for good. I used other termite and pest control companies to try and rid my house but they are the only ones who have kept them gone. We used Arizona Termites for our scorpion problem in our backyard. They showed up on time, they were clean, and they got the job done.